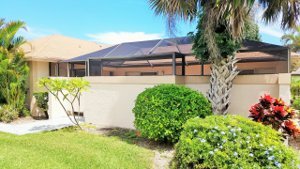 Homes for Sale Indian Creek - Search homes for sale Indian Creek. 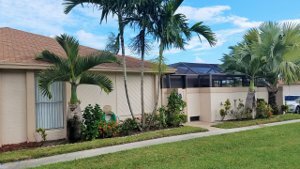 See all MLS Real Estate and homes for sale in Indian Creek, Jupiter FL. Information & Photos. 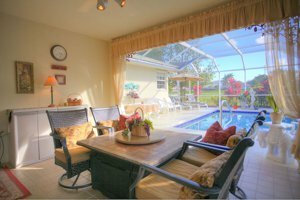 Indian Creek is an affordable neighborhood community in Jupiter, conveniently located near the Florida Turnpike. It is a pet-friendly development with some restrictions. 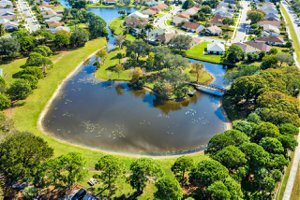 Beautiful lakes and golf courses surround residents’ homes, offering stunning views. 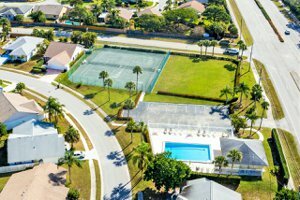 The community’s great homes are supplemented by close proximity to Jupiter’s exciting recreation, fine dining, top schools, and more. Real estate in Indian Creek consists of 1,550 homes of condos, townhomes, villas, and single-family that range in size from 900 to 1,800 square feet. The variety of communities within Indian Creek each have a unique character and personality. 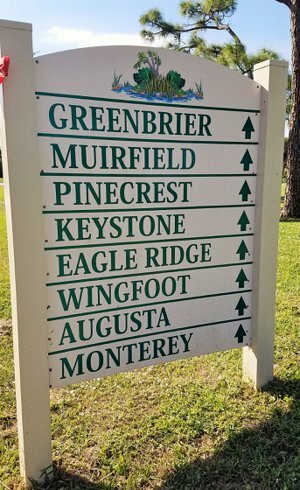 They are: Arrowhead (Sngle Fam), Augusta (Townhome), Eagle Ridge (Sngl Fam), Greenbrier Community Page (Townhome), Harvest Moon A and Harvest Moon B (Townhome), Keystone (Condo), Muirfield (Condo), Pinecrest (Townhome), Raintree (Sngl Fam), Wandering Trail (Sngl Fam), and Wingfoot (Condo 55+). All homes were constructed with dependable concrete block structures. Many single-family homes and townhomes feature amenities such as wood floors, gourmet kitchens, and swimming pools. A variety of prices make it easy for you to choose a home that fits your budget and lifestyle needs. Wingfoot community has condos built exclusively for residents over 55, which provide an ideal space to meet their needs. 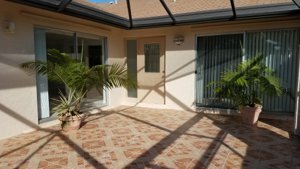 Large wide patios and balconies accommodate outdoor living areas. Some residents have spectacular views of the lakes and golf courses around the homes. Indian Creek also offers community services, including cable, pool, and lawn maintenance. Additionally, residents have access to a general clubhouse, and some communities have their own pool. call the Indian Creek specialists, Thom and Rory. 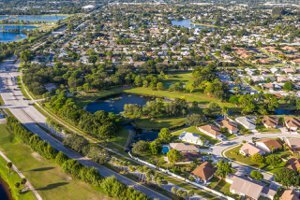 In addition to the great amenities at home for residents of Indian Creek, the neighborhood is also close to Jupiter’s fine dining and fantastic shopping. For instance, the Gardens Mall features upscale brands like Lacoste, Tory Burch, Nordstrom, and Michael Kors. There are also department stores such as Sears and Macy’s. Hungry shoppers can try the menus at P.F. Chang’s and Brio Tuscan Grille. A variety of other dining options are also available for Indian Creek residents. These include cuisines ranging from American (Dune Dog Cafe) to Italian (Bravo Italiano) to Chinese (Hong Kong W N Grill), to Mexican at (Calaveras Cantine), French at (The Parisian). There is something to suit everyone’s taste. In addition to these restaurants, Jupiter’s newest attraction, Harbourside, is on the Riverwalk only a short drive away. A number of dining, shopping, and recreational activities can be found here, and the future expansion plans up the Inlet District will provide even more. Indian Creek residents also live near wonderful outdoor recreation facilities. Indian Creek Park boasts plenty of green space and lakes, which provide gorgeous views during a jog, bike, or stroll. 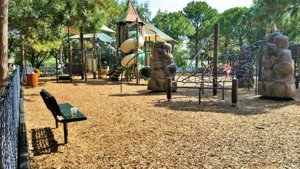 Children of all ages will enjoy the various playgrounds. Use the basketball or tennis courts to practice your skills. Don't forget to use the outdoor exercise equipment overlooking the lake in the nearby park. Picnic tables and a scenic bridge are perfect for admiring the gorgeous views. Golf enthusiasts will enjoy practicing their swing at the Golf Club of Jupiter, located within the park. Open to the public, the Golf Club features 18 holes on stunning fairways and greens, along with full equipment rentals and a driving range. There is even an on-site restaurant that serves food and drinks all day. Residents of Indian Creek are served by the School District of Palm Beach County. Nearby schools include A-rated programs, such as Jupiter High. Several private schools offer alternative education. GET TO KNOW MORE ABOUT JUPITER HERE. See all currently available Indian Creek homes below. 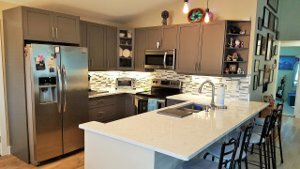 HOMES IN THE INDIAN CREEK COMMUNITY WILL GO QUICKLY WHEN PRICED WELL. BE SURE TO GET ON OUR ADVANCED NOTICE LIST TO RECEIVE IMMEDIATE NOTICE OF THE LATEST LISTINGS PRIOR TO OR WHEN FIRST PRESENTED ON THE MARKET IN THE MLS.